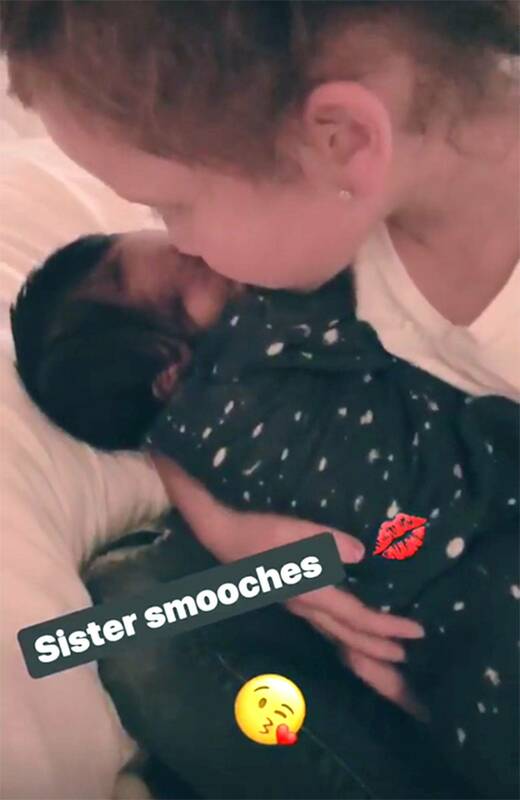 Newborn life has set in, in earnest, at Jessica Alba and Cash Warren’s house and the now mum-of-three just shared some adorable video proof! Jess and Cash’s third child, a little boy called Hayes, arrived on New Year’s Eve and she’s been sharing snippets of the baby bubble on Instagram ever since. Jess is also mum to nine-year-old Honor Marie and 6-year-old Haven Garner, and she let us in on some sibling bonding via Instagram Stories yesterday. 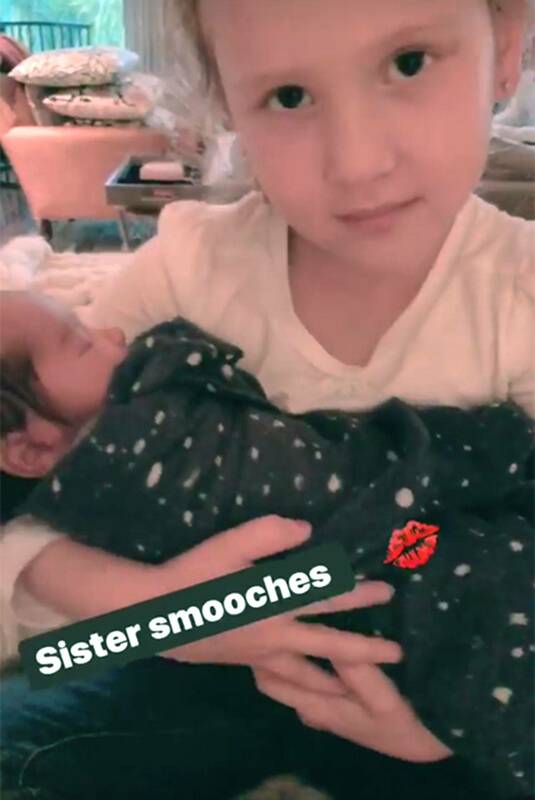 “Sister smooches,” she captioned a clip of eight-day-old Hayes and her youngest daughter Haven. A second clip shows the tiny guy in daughter Honor’s arms. It’s fair to say that he’s living his best life, because SMILES! 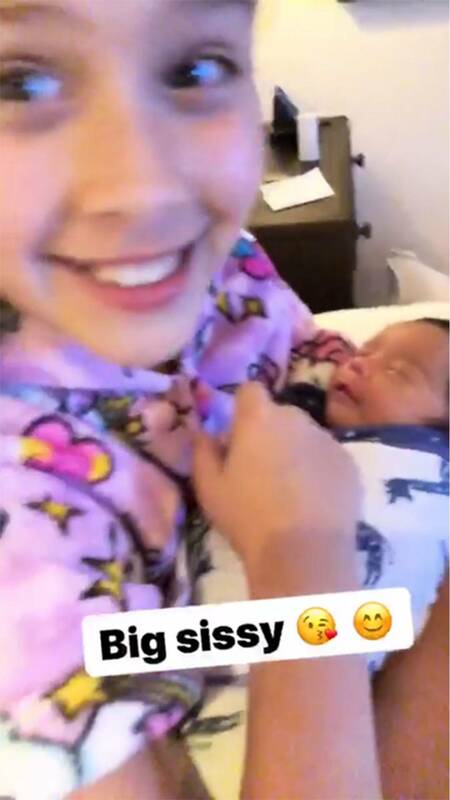 “Oh my gosh, he’s smiling!” Honor says in the video tagged “Big sissy”, and we think she’s absolutely correct and it’s definitely not wind. Nope. Shoosh. Young Hayes arrived on the last day of 2017, and his family say they’re “blessed” and “obsessed”. It’s not hard to see why. “Hayes Alba Warren 12/31/17,” Jess posted – also to Instagram – last week, announcing her first baby boy’s arrival. The name “Hayes” is of English origin, meaning “hedged area”. While it’s most often-used as a surname, that’s obviously not always the case. Actor Kevin Costner chose this name for his son, as well. Jess explained the “H” name bias to Jimmy Fallon on his popular eventing talk show. “For some reason we chose H [names for their first two daughters]. It has to be single or double syllable, has to be an ‘H’ and it also has to be a word. It can’t be too weird because you never know,” Jess said. We’re quite into unusual names for nurses, but we’re all different and we totally support Jess and Cash’s philosophy, if that suits them.